$220,000 USD Ocean View with Permits! Address: Corona del Cabo #8, Amazing ocean view lot w/permits to build! 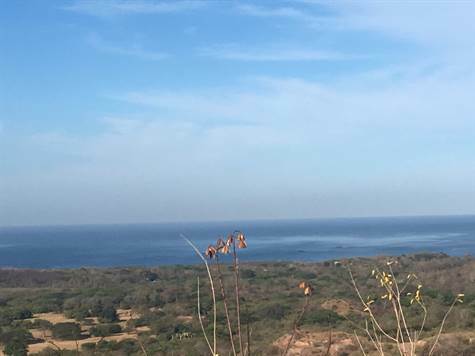 Gorgeous 360 degree views from this lot located in Corona del Cabo, gated community development. The lot has a paved driveway, and hosts 2 large building terraces. The top terrace offers 360 degree views spanning over the Pacific Ocean and over the mountains and valleys. Water and electric is available at the property. Just a 5 min drive from the beach and surf in Playa Grande. Less than 5 minutes to the local grocery store, 15 min to Tamarindo, and 1 hour from Liberia International Airport. The property is being sold with permits already approved to build a spectacular 3 bedroom, ocean view home with infinity edge pool.